Using WPML requires no technical or programming skills. Site admins can install it and turn their site multilingual, without any coding. 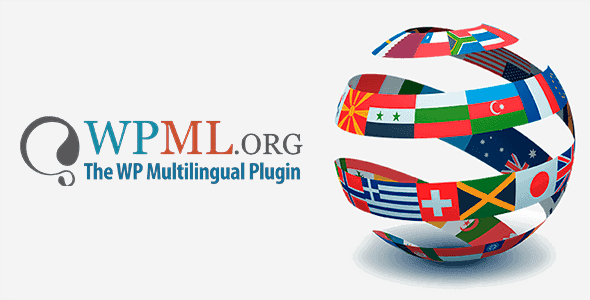 WPML includes a complete API, for integrating with other plugins and translation systems. This way, developers can easily use WPML and turn their products into multilingual. WPML developers offer full and ongoing support, updates are released regularly. Developers provides a large amount of documentation. WPML is made of a core plugin and add-ons. The core WPML Multilingual CMS is always required. You can install any combination of the add-on plugins for additional functionality. The core plugin turns WordPress multilingual. It adds the basic translation controls and allows translating content. The String Translation plugin allows to translate interface strings directly from within WordPress without having to use .mo files. The String Translation plugin allows more than just translating static texts. It also lets you translate user-generated texts that are outside of posts and pages. For example, the tagline and SEO data. When your clients receive their newly created multilingual site, your work ends and their work begins. The Translation Management plugin helps site admins manage their translation work. They will turn normal users into translators, send jobs to them and track progress of the site’s translation status. The Sticky Links plugin keeps internal links from ever breaking. It automatically tracks linked pages in your site and keeps all incoming links up-to-date. When you change permalink structure, hierarchy and even page slugs, all incoming links update immediately. The CMS Navigation plugin adds navigational elements which you can use when building the site. This includes a breadcrumbs trail, drop-down menus and sidebar navigation. Over 400,000 online sites running WPML! Try it!